Keep calm and carry on, we are not going to break your rocket! The previous weeks have been quite intense for the Mechanical team… and it’s not over! One of the main concern of the experts is the reliability of our modified cylinder module. Well okay, we need to cut two huge openings, 205mm x 80mm, in our 300mm high module to eject the two Free Falling Units. Hence the one million Swedish kronor question: “Will the RMU tolerate the launch load? 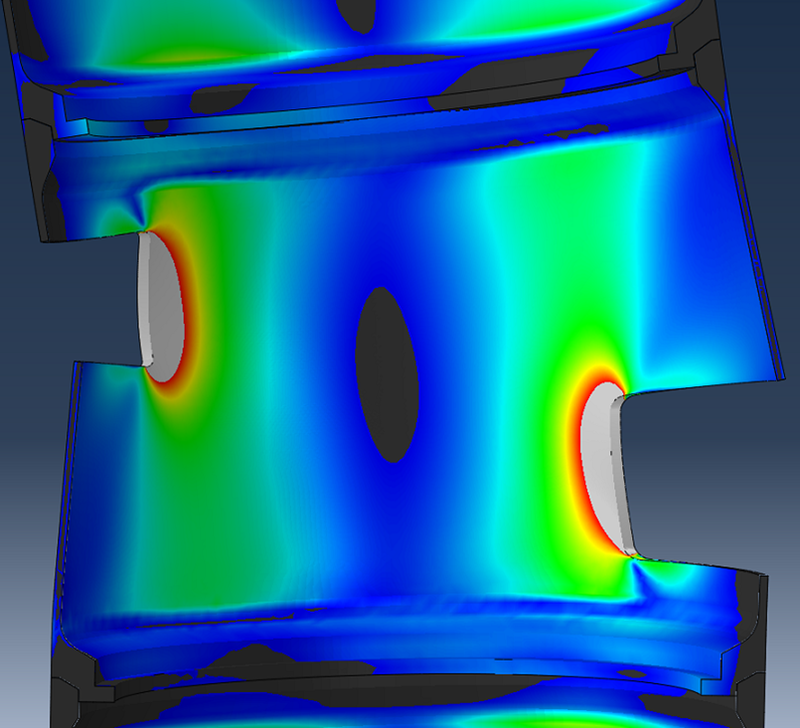 !” Well, that is when the Mechanical team (and Abaqus) comes to the rescue! We have analysed the stresses applied to the modified cylinder for the pure axial compression and the pure bending cases. 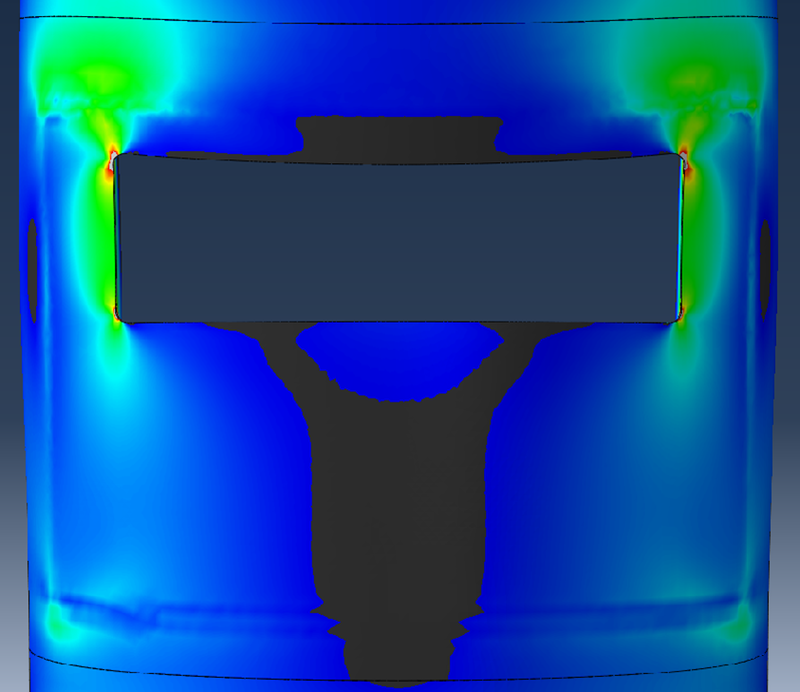 It doesn’t really look good…That is why we have designed a reinforcement that will provide more rigidity and load tolerance to the cylinder. As you can see, the loads are condensed around the openings. The bright grey part is where you have stresses over 280 MPa, which corresponds to the value of the aluminium yield strength, basically the “where it is going to fail ” part. The second picture is more reassuring: with the reinforcement, the grey area has greatly diminished. Our analysis is still on-going but we are getting confident that on the 11th of March (SED due date), we will be able to reassure the experts. Meanwhile, work is also being done on the ejection system, and especially the choice of the ejection springs.